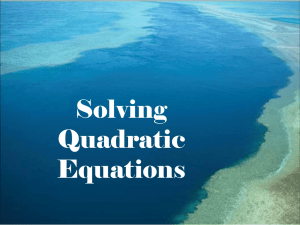 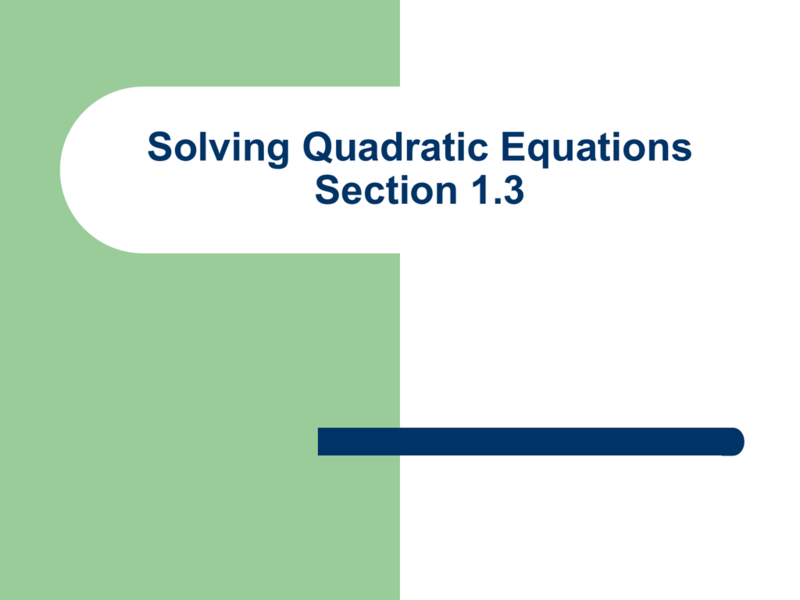 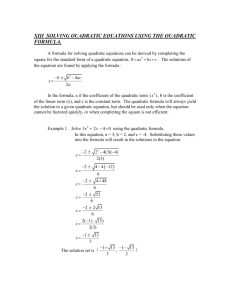 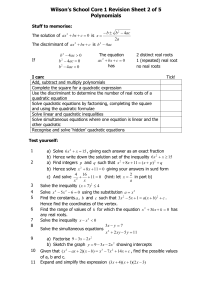 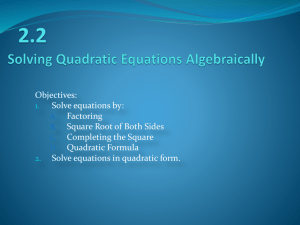 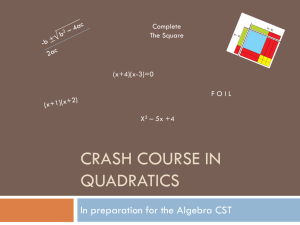 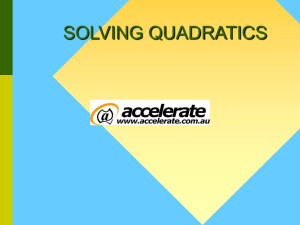 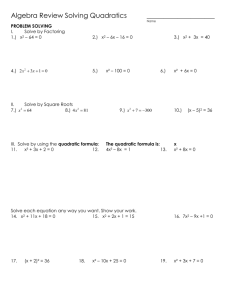 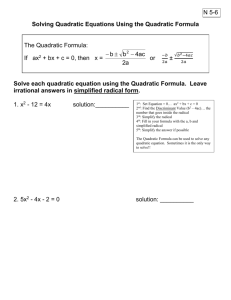 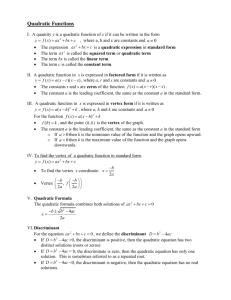 Solving a Quadratic Equation by Factoring. 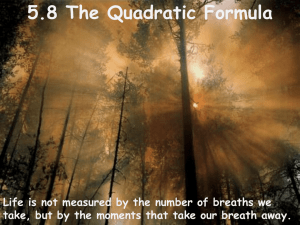 factors has to be zero. 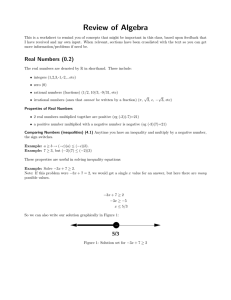 If (B)(C)=0, then B=0 or C=0 or both. 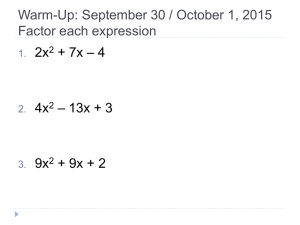 Solve x² - 12x + 35 = 0 by factoring. 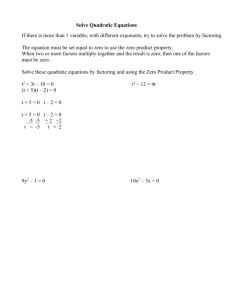 by the zero product property. 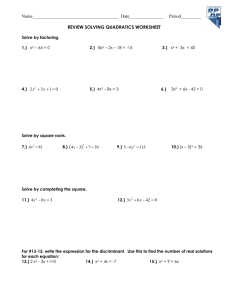 Solve 3t² + 10t + 6 = -2 by factoring. 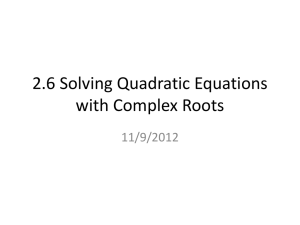 Solve by the Square Root Method. 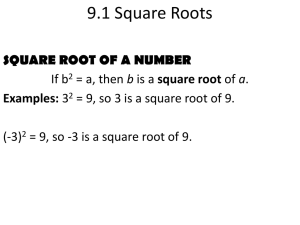 could use the square root method to solve. 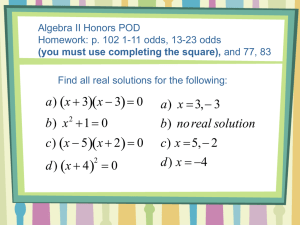 Math: If x² = c, then x = ±c. 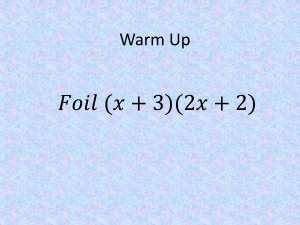 Add three to both sides. 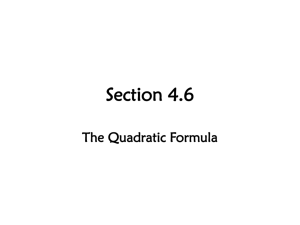 square and simplify the right side. 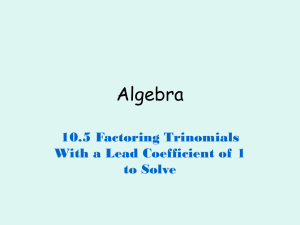 Leading Coefficient is not equal to 1.
where a,b, and c are real numbers.